First thing's first: listen to this. Hopefully that improved your day, as long as we disregard the painfully conventional gender norms going on and just enjoy the track for the sweet beat that it is. Moving on. To oatmeal. I think my period is coming... soon. My lower back hurts, my muscles are sore and I am TIRED even though I got a good sleep last night. I suppose it seems like I talk about my menstruation cycle all the time, but that is not true! I only talk about it MOST of the time. Gimme a break (read: pass the heat pad). If you are a woman, you understand the significance and thus why I mention my moon flow so often. If you don't got a uterus, you may as well try to empathize and respect the #$%& we go through every month as fertile ladies. This morning I woke up and wanted oatmeal. So I made oatmeal. That is the simple story behind todays recipe. I wish it was more exciting but at this point "exciting" does not sound appealing. I just wanna lay in bed with my cat, Dante, the chocolate maca bars Vega was so kind to send me - people ALWAYS send me chocolate at the right time of the month, at least I've got that going for me - and a marathon of Downton Abbey. That show is ADDICTING. 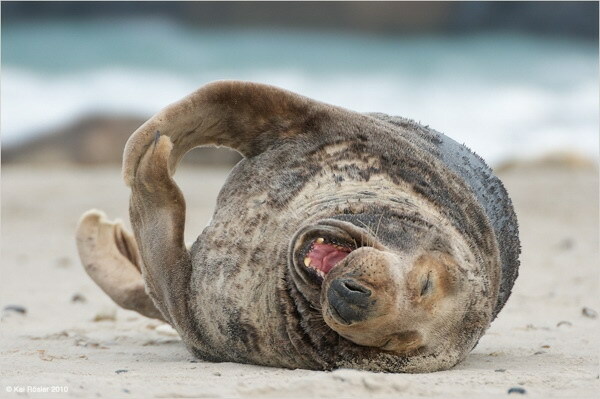 Now, I say that is all I want to do; but in reality what I probably end up doing is just wandering around the house whining and rolling on the floor sporadically. I think I'm staying at my partners place tonight so he can be victim to my moans and lack of motivation to move. I am also planning on forcing him to massage my back. This is why I am in a relationship: it's all about the rubbin'. 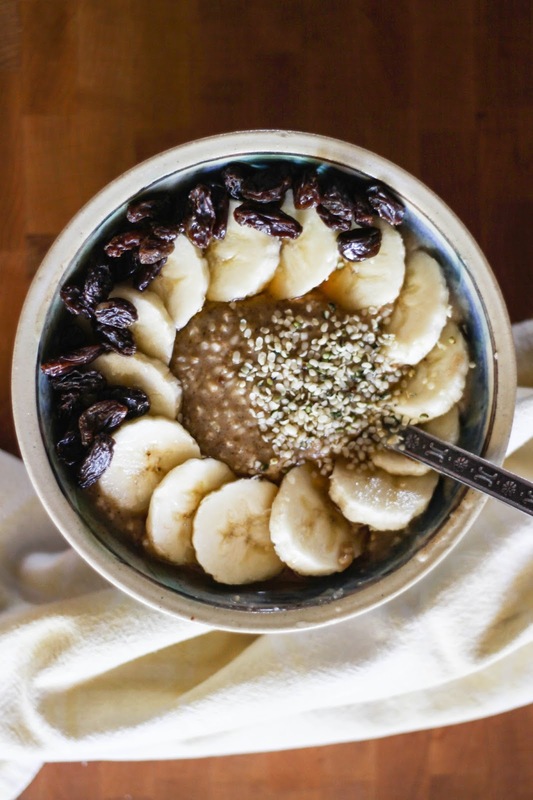 I used a special ingredient in this bowl of oatmeal: baobab powder! It comes from the gorgeous baobab tree and is super nutritious. I tried some from Kaibae and loved it! It adds a lovely flavour. I feel like I have written so much but I only see a measly two paragraphs... well too bad. I can't think of anything else witty to say (have I even said anything witty yet?) so I'm calling it a day. Or, blog post. Just make the oatmeal. Wait, also listen to this. Pour the water into a pot and stir in the salt. Throw in all the oats and bring the water to a boil, stirring occasionally. Once boiling, bring the temperate down to low and simmer until the oats absorb the water, I like my oatmeal thin so I don't cook it for that long, around 20-30 minutes. 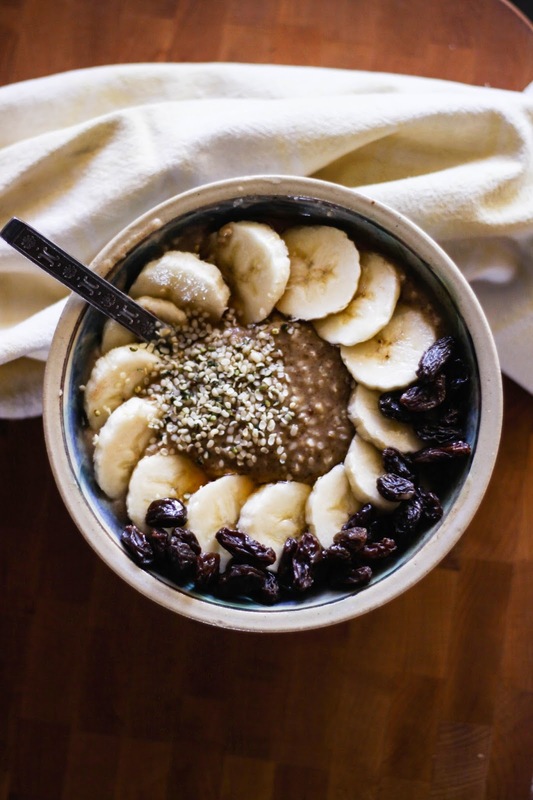 Throw all the other ingredients - except the banana and raisins, into the bottom of a bowl, then pour on your oatmeal and mix everything together. 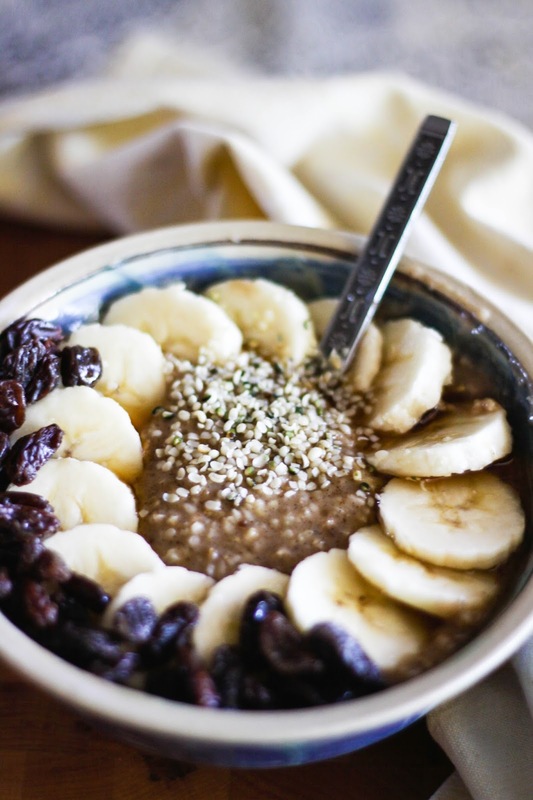 Top with banana slices, raisins, and hemp seeds. Ahhh. Yum. Awesome recipe! 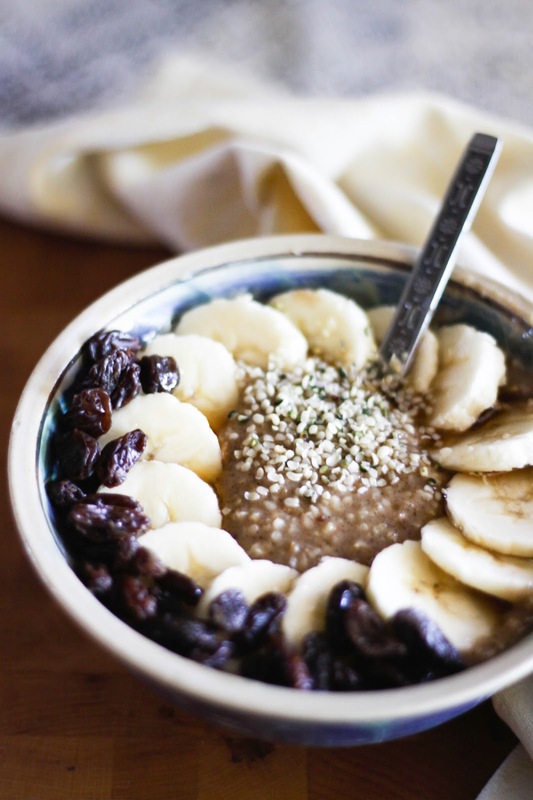 I'm so addicted to any kind of oatmeal lately...this one looks so good and yummy! Super packed with goodness! PS: everyone should subscribe to this beautiful blog! Yummy recipe! I am wondering is it raw vegan or not. Thank you very much for writing everything openly. What are your thoughts on using coconut or almond milk instead of the water? @Tiffany - go for it! Is this for 1 serving or several? It looks so good! @Anonymous - enough for me! lol but i eat a lot.